Alexey Bovduy had a very successful career as a volleyball player. 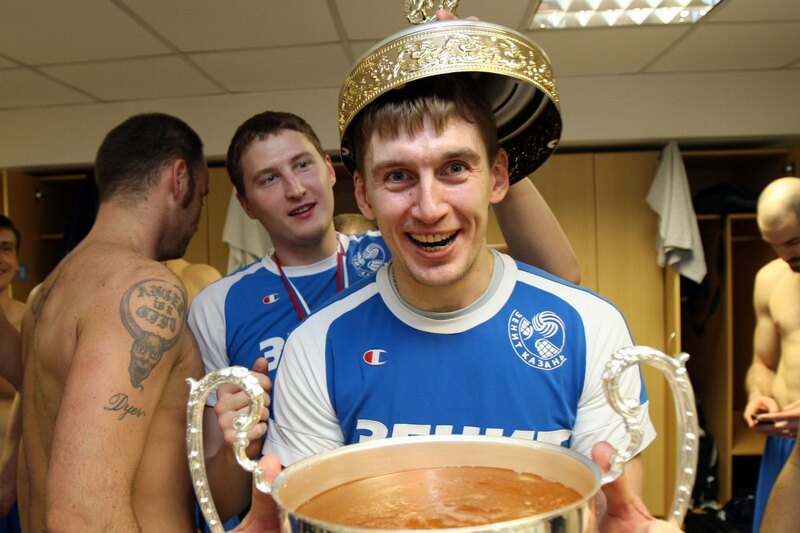 He is best remembered by his years with Zenit Kazan (2004-09) in which he won a CEV Champions League title and two Russian titles. He was also a silver medalist with the Russian national team at the 1998 World League. However, now at 41-years-old, he is building on his successful career at the sport outside of the courts and on the ref’s chair. Few of the former professional players become referees. Why did you do it? After playing volleyball for so many years, I did not simply want to quit it altogether. Refereeing is an opportunity to keep in touch with the sport, to communicate with friends and children that you used to play with. I’ve also tried my hand at coaching. Actually, I am training a youth team right now. However, finding jobs as a coach is hard, the market is saturated. On the other side, I was constantly offered ref jobs when I started out. So I took the courses and tests and got my licence. After becoming a ref, have you ever come across rules that you didn’t know about before? No, there were no such revelations. What did happen though is that when I am on the court, I have to follow all the rules, even those that seemed too formal for me as a player. Now the players come to me and say “well, you yourself played, why are you so strict?” But rules are rules. I explain to players after the match with items in the rule-book to read. Is it really possible to feed a family being a ref? Being a ref is a hobby, and unless you are a top referee working Superliga or European Cup matches, you can’t survive on it. People who like volleyball are engaged in it and have all kinds of other jobs. They ref in their spare time , like as if in a holiday. The refs are a part of the game, a cult figure. Without human decisions, volleyball would turn into a computer game. Technical assistance is needed, as the modern game is so fast, but we need refs that are alive and not machines. Do spectators get inside your head? Mostly jokes. Fans sometimes recommends us to buy glasses, but as a whole I have not faced serious aggression, and I do not pay attention to small provocations. This is important, for if the referee is not sufficiently stable, then the teams and the fans will have a field day. There are no special psychological training for refs, so everything depends only on you and your inner state.